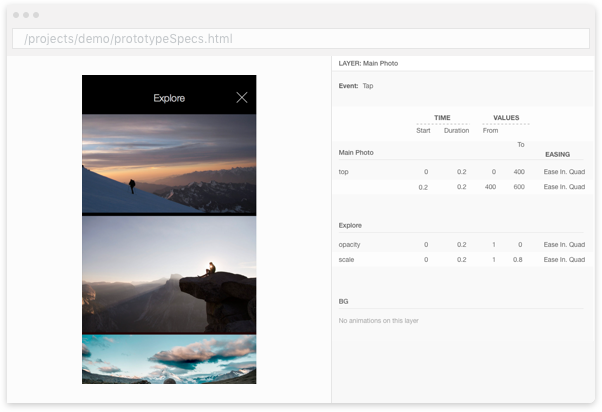 Mitya - Interaction Prototyping tool - is now available. 20% off during launch week. And once you upload the prototype to Diya Cloud, you can share it with anyone. Do you mean you also want the specs link to be shareable? Drew, could you please help me in tracing this issue. Neither me nor my host are able to replicate this issue. Can you please open the console in your browser and tell me if any error is reported when you click on "download"? I'm seeing that everyone is using symbols slightly differently, so whenever someone reports a symbol error, I'm working with them to take care of their use case. If you're in a position to share your sketch file, I can try and work through it and fix it for you. Are you getting an error message? When you say it doesn't work, can you share details on what action isn't working?